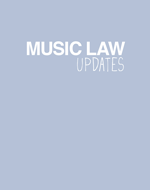 COPYRIGHT Record Labels, Music Publishers, Internet The Australian music industry has listed an internet service provider (ISP) as a respondent in a court case involving alleged music piracy. E-Talk Communications, trading as Comcen Internet Services, has been served with a law suit in Federal Court (Justice Brian Tamberlin) charged with making money from the provision of copyright-infringing music files. This is the first time the music industry has accused an ISP of being directly involved in piracy by allowing its infrastructure to be used for file-trading activities according to Music Industry Piracy Investigations (MIPI), who led the industry’s investigation. The tactic marks the escalation in the simmering battle between the music industry and the ISPs over how much responsibility the latter should take for any copyright infringing behaviour of their subscribers. The charge is the result of an 11-month investigation into the web site MP3s4Free.net. The registrant of the domain name, Australian Stephen Cooper, was also charged. The MIPI claimed that the website was highly organised and allowed and assisted users to find and download music files. The site received 7 million unique visits in the previous 12 months and MIPI claim that E-Talk economically benefited by hosting the website…. COPYRIGHT Record Labels, Music Publishers, Computer Technology, Internet, Telecommunications The U.S. Copyright Office has rejected dozens of requests to relax a 1998 federal copyright law, including proposals to allow people to play DVDs bought in other countries and to copy DVD bonus materials for non-commercial use. This week’s ruling concludes a review conducted every three years on whether the legal use of some copyright materials has been hurt by the Digital Millennium Copyright Act, which bans the bypassing of copy protection on digital music, movies and other works. More than 50 requests for exemptions were made but the Copyright Office granted only two new exemptions. One permits access to electronic books by software for the blind and to computer programs and video games distributed in formats now obsolete. WILL THE VICTORY FOR THE RIAA IN ITS CASE AGAINST VERIZON OPEN THE FLOODGATES FOR LEGAL ACTIONS AGAINST CABLE COMPANIES AND ISPs? COPYRIGHT Music Publishing, Artists and Composers A recent study by the Informa Media Group shows that downloading mobile phone rings is a fast growing and lucrative business. Informa found that in 2002 songwriter’s collection societies collected in excess of £44 million for composers and publishers and that the global income from mobile tone rings was in excess of US$1 billion. See www.cnet.com for further information. COPYRIGHT Record Labels, Music Publishing, Artists and Composers The World Intellectual Property Organisation (WIPO) has announced that the total number of contracting states for the Berne Convention (which sets out and defines minimum standards of protection for economic and moral rights for authors of literary and artistic works) is now 149 nations and that the total number of contracting states to the Geneva Convention (protecting phonographic copyrights) has reached 69. Email: Publicinf@wipo.int for further information.